Trakkaway 700 Motorhome Construction? It's Body Beautiful. 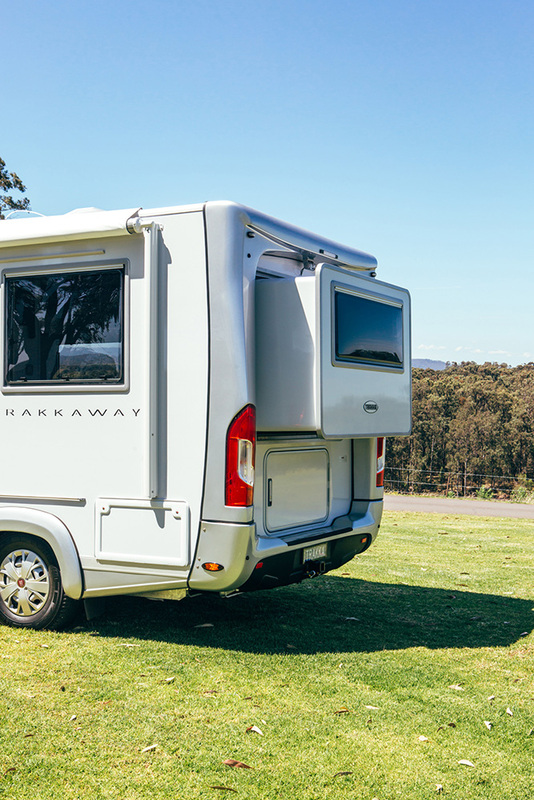 6 THINGS YOU NEED TO KNOW ABOUT THE TRAKKAWAY 700 BODY. 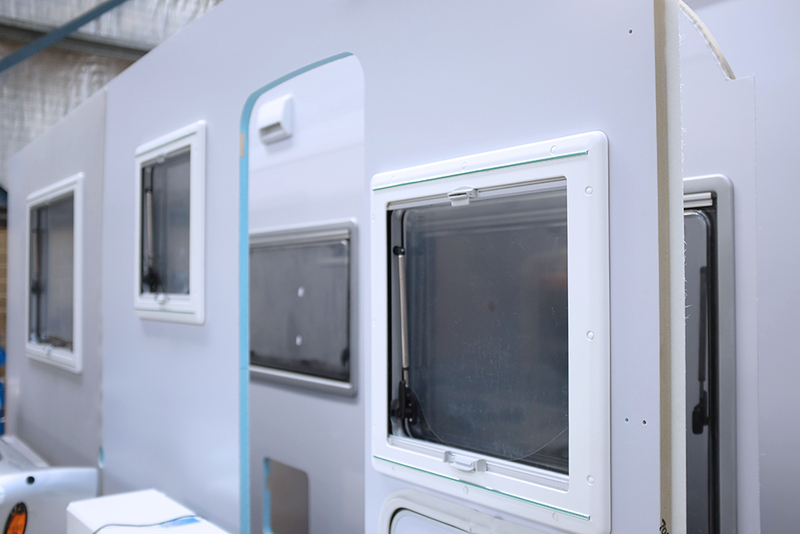 The Trakkaway body panels are made up of a foam core with inner and outer linings; and it’s fully composite body is achieved by eliminating joins and bonding all of these components together as a single unit. 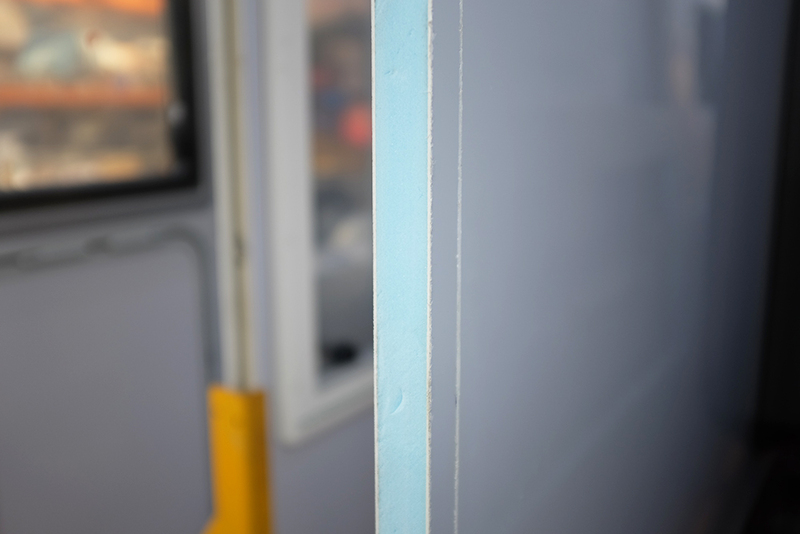 We’ve gone one step further… Trakka have taken this panel construction to another level by replacing all wall plywood-lining materials with a perimetre of 25mm thick FibroPlast. It’s stronger than plywood and completely water resistant. Add to that, the fact that fiberglass linings are in one piece (no joins as in plywood) and you get increased strength in your panels that are more durable and easier to maintain. Good quality motorhomes are designed and built to withstand high stresses from wind, induced vibrations from road conditions and cornering; all of which have an impact on the structure of the vehicle. While many motorhome manufacturers use white foam in their composite panels (i.e. expanded polystyrene also known as EPS, which is more commonly produced for coffee cups, eskys and packaging materials), it simply doesn’t have the insulation value, compressive strength or moisture-resistant properties of Styrofoam. At Trakka, we use STYROFOAM blue foam as our core material. You see, the blue foam has a closed cell structure, which gives it excellent insulating properties, long-term resistance against moisture and high mechanical strength. Our composite panels are strong. They’re so strong that there’s no need for additional internal framework; which is a good thing. Framework can cause areas of weakness in the panel because of junctions, it can decrease the insulation efficiency caused by hollow sections and in many cases it can show through to the outside, which immediately takes away from the external appearance. The Trakka strength is not just in the panels but also in the way the panels are connected together. We’ve taken the body assembly to the next level using a unique system of extruded anodised aluminium connection sections. These sections are extremely strong and are bonded to interlock the floor, walls and roof sections together as one. The result? A fully composite, extremely strong and watertight motorhome construction! We’ve established that the 700’s body is composite sandwich-panel constructed and on top of all the pros associated with this design and construction, it’s the high-gloss finish that gives the Trakkaway a clean, stylish, contemporary and enduring appearance. The Trakka exterior surface has a gel coat finish, which, not unlike a quality boat, doesn’t require additional finishing and painting. The body only needs to be washed and cared for the same as a normal car! 6. IT’S COMPACT, YET SPACIOUS. 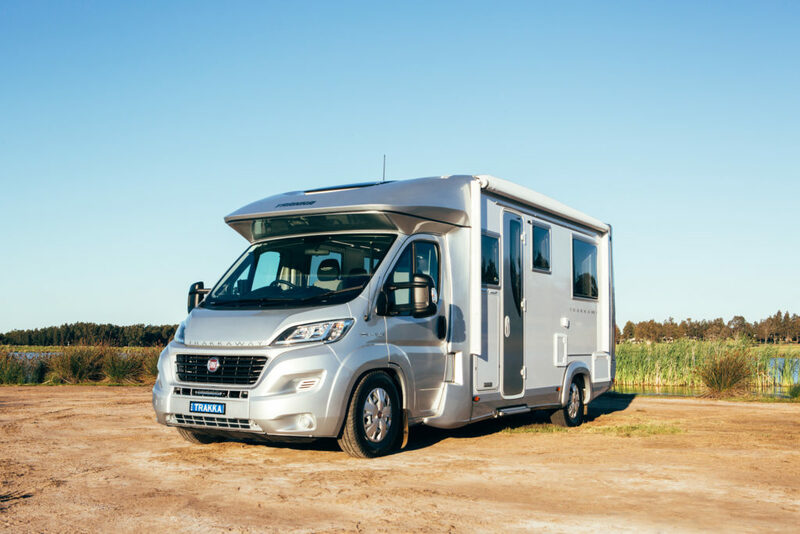 At just 7 metres in length, and complete with a 0.5 metre slide out rear unit for the island bed, this home-away-from-home is compact to drive and yet includes an impressive amount of space right throughout the interior – when you need it. The beauty of driving such a compact vehicle is that whether you’re around town or on a freeway, it’s so easy to drive and all you need is a regular car licence.